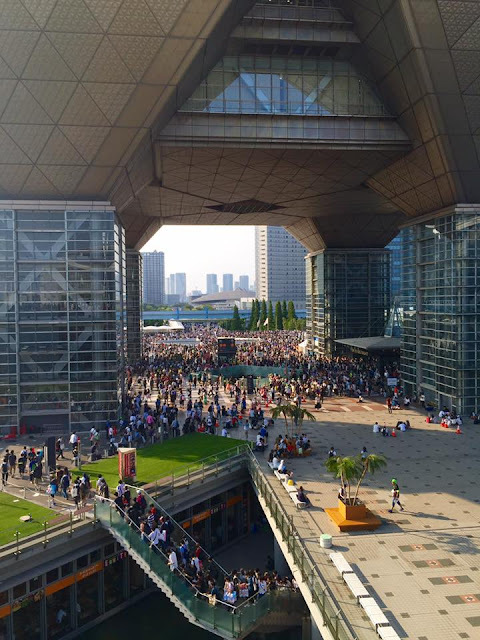 Comiket day 2 and Odaiba sightseeing. You thought that Comiket could not get any crowded? Guess what, there are more people in this day compared to the day before. Day 2 of Cimkiet is the time where the battlefield starts to get really heated up. Maybe because it was the weekend. Maybe because it's Kancolle and Touhou doujins day. But oh my, the number of attendees was just overwhelming. Despite the huge crowd, it is actually well organised. The line might be really, really long and it may take hours just to get your favourite doujins, but the line itself is coordinated really well; people in the back holding the 'end of the line' sign and the volunteers manages the crowd splendidly. I managed to get most of my targeted doujins, but most of the popular one sold out in mere hours. It's really amazing. After an exhausting day at Comiket, I took a walk to Odaiba. The first place I went to was the Fuji TV building, the headquarters of Fuji Television. I didn't actually enter the building itself and just loiter around the ground, admiring the beautiful building. 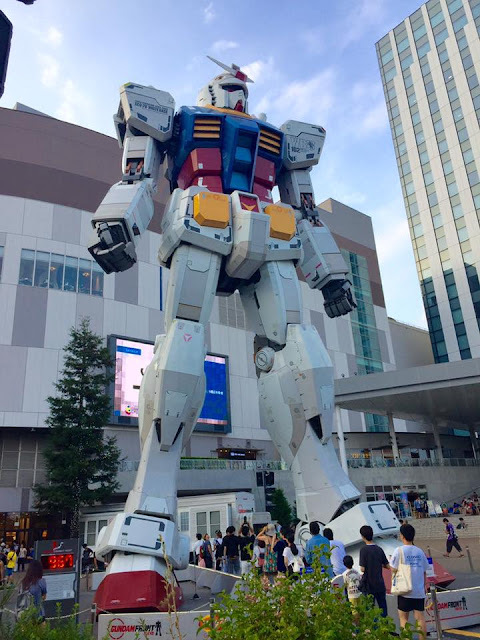 Later on, I went to DiverCity Tokyo Plaza, where you can see a 1:1 scale Gundam statue stands in front of the building plaza. It's free, and the sight of a real life sized mecha is just spectacular. I mostly hang around under statue, until it's late in the evening before going to Aquacity Odaiba. I enjoyed a really nice views of the Rainbow Bridge from the wooden deck in front of Aquacity, beautiful with its nightly illumination. There are also some kind of light show on the Fuji TV Building later in the night, run between an interval set of time. Overall, It's a really fulfilling day indeed.Next up, Comiket day 3.